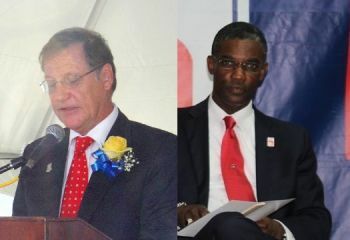 ROAD TOWN, Tortola, VI- In a stunning revelation of honesty, the Royal Virgin Islands Police Force (RVIPF) seems to have been thrown under the bus until the new Police Commissioner Mr Michael ‘Mick’ Matthews arrives. Mr Mathews is currently Chief Constable of the Cyprus Sovereign Base Area (SBA) Police Force and is expected to come directly from that position to take up the post of RVIPF Commissioner in mid-April 2016. An exact date has not been given by the Governor’s Office. 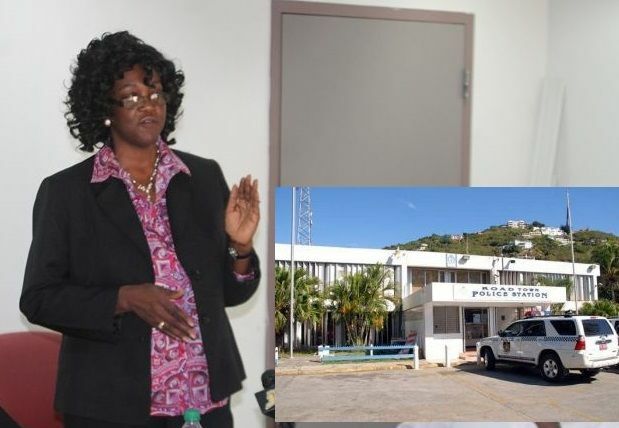 Many in the top police brass who were advised of this see it as an insult that an important agency as the Royal Virgin Islands Police Force (RVIPF) must be at a standstill waiting on one man. “It’s an insult to the Acting Commissioner and the safety of all residents of the Virgin Islands,” two top brass, speaking to our newsroom on condition of anonymity, said. Police off the radar for Governor –locals shut out! It was also revealed in the Standing Finance Committee report that while the Governor is responsible for Policing in the Virgin Islands the Governor's Office does not fund any equipment for the organisation. Meanwhile, race continues to seemingly play a part in the Governor’s Office. Governor John S. Duncan's office, located in Road Town- the capital city, is divided into two sections, with a local staff and a Foreign and Commonwealth Office (FCO) staff. There are no locals or blacks working on the FCO side. Many residents, civil society and the media have labeled this as downright racism. Yes it must. When Mickey comes then he will deal. Cant believe she said that! Why you can't believe?...That mean you didn't truly know her...Oreo Cookie. That police force needs a thorough cleaning. Mr James, i think you should take your leave now, its clear that this governor has no confidence in you, this is so disrespectful, i really cant believe it, come on man, there is an acting commissioner of police, are you trying to say that he is incompetent, well aj that whole corruption thing take place right under your nose, so there leaves alot of questions to be asked, its embarrassing, i would retire if i were you boss. Well as you hit the nail right on the head could not have said it better ..go with the little dignity you have. What else will Lucan throw up? What else can it be but racist? On the bus..!!!!! Set of Corrupt Cop..I will S**t them u know..
wow did that silly women say that? hope not! What was the question posed to her? Look nuh, keep off my cousin, see. Keep her out of the mess that the police created. All and sundry speaking only focusing on the answer she gave, but do not know the question. Don't focus on the words that was spoken by Mrs. Stoutt-Igwe. Focus on what got us to the position we are in now. You are trying to blame the innocent for the bigger problem. Please, go take a class in interpretation. The sec responsibility is not to hire and fire. she is to provide policy advise and type for john duncan. she has overstepped again you see why they got her out from the MHSD.